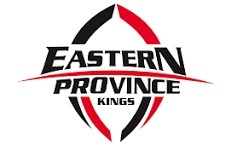 PE SAPS continued their impressive run in the EP Grand Challenge competition when they comfortably doused African Bombers’ challenge with a decisive 56-12 win on Saturday (July 11). The policemen are the only unbeaten team in the competition and are looking like strong contenders for the title, but they will not take anything for granted until the final matches are played. Bombers were coming off their first win of the season the previous weekend and held SAPS to 17-5 at halftime before the home side took control. In Rosedale, Gardens made a fast start, scoring two tries in the first five minutes en route to a comfortable 46-12 win over Spring Rose. In doing so, the Eastern Cape Super 12 runners-up confirmed their status among the best sides in the competition, albeit some way behind the top two of SAPS and Despatch. The Grand Challenge competition takes a break this weekend and will resume on July 25. The weekend’s results were: PE SAPS 56 African Bombers 12, Gardens 46 Spring Rose 12, Grahamstown Brumbies 28 Trying Stars 20, Park 32 Kruisfontein 13.